Make Money Blogging at ANY Level – From 1,000 Page Views and UP! I spent years blogging for free before I finally cracked the code to making real money. So many hours spent grinding my gears and hoping to make money but getting no where! Eventually I learned the real steps I needed to take to start seeing income, and I did start seeing income! A lot of income! After that I started a second profitable blog. Then I helped my brother do so. Then I taught my blogging friends and they started making money too! This explains exactly how we did it and how you can too! The average income increase with these tips is over 500% in just six weeks! Find out how! More than 2,000 bloggers have taken their blogs to the next level with Make Money Blogging! ✓ How to start a blog, if you don’t already have one! ✓ How to get yourself and your blog ready to make money. Yes, this is part of being a professional, paid blogger! ✓ All the income sources you can pursue for your blog size, and how to maximize those streams. ✓ How to contact companies directly for sponsorship opportunities and how much you should charge. ✓ All the tools you need to make sure your blog stays profitable. 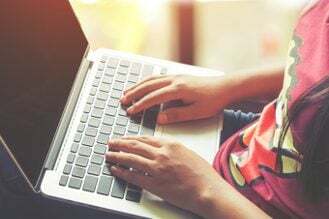 Do You Want to Make REAL Money Blogging? I’ve seen bloggers with over 100,000 page views a month make less than $200 a month, while bloggers with 20,000 page views a month bring in $5,000 a month or more! How is that possible?? Well, one blogger knows how to properly leverage their page views while the other doesn’t! This book will help you get the most money out of your blog, whether you have 1,000 page views, or 150,000 page views! But let me be really clear here, while there are bloggers making $55,000 a month from their blog (which is amazing) that is not the norm, it’s the exception. This book isn’t me telling you how I’m one of those exceptions to the rule and if you just follow my example you will be an exception too. This information is for every blogger. It is everything you need to know to leverage the number of page views you have right now in a reasonable and realistic way. I have one blog (A Modern Homestead) that averages 45,000 page views a month and brings in about $2,000 $4,500 $8,000+ a month in income. 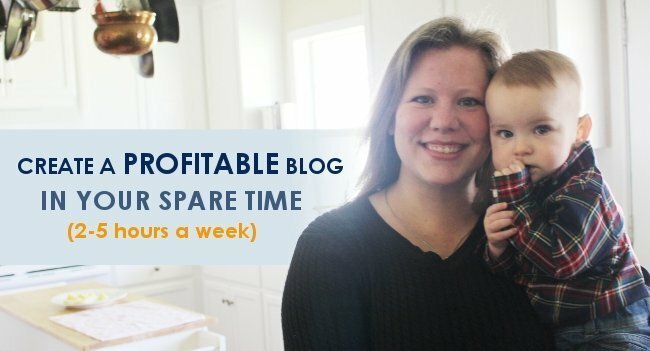 While my second, brand new baby blog (Mom Life Made Easy) averages about 6,000 page views a month and brings in about $300 a month in income. Is that all the money in the world? No. Is it a nice chunk of money to add to my families budget every month? YES! So, before you get to thinking that I’m going to show you how to get rich quick, change your mindset and get ready to make real money at a reasonable rate through blogger know-how and the hard work you are already putting in on your blog! As a side note: My blog income does not come from telling other people how to make money blogging. That is something you see in a lot of cases, but in my case all the numbers cited in this book are from sources that you too can utilize. Rest assured, the information in this book will help you start earning money with the page views you have now and using the information your readers are already looking for! 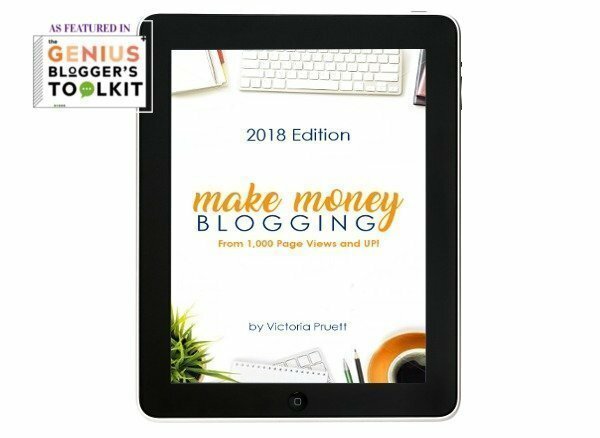 “Make Money Blogging At Any Level” immediately grabbed my attention because I knew I was leaving money on the table with my blog. Reading Victoria’s book gave me actual practical, clear advice and real resources I can start implementing TODAY. I love that she approaches monetization via strategies that can work for your individual blog and NOT just from “making money blogging by telling other people how to make money blogging”. This book will help you to appreciate your niche, your voice, and your brand, and then help you learn how to leverage it to the fullest. “I have taken a lot (a LOT) of blogging courses since I started blogging. While most are good, some are phenomenal… and this one falls into the phenomenal category. Some of the things I learned in this book were things I haven’t heard anywhere else. Not to mention this has got to be THE most affordable blogging resource out there – which is essential when you’re first starting out. 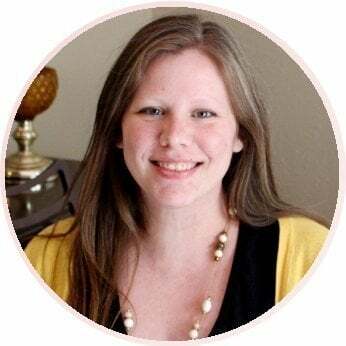 “I’ve been blogging for six years, and I’m not very technically skilled at setting up ad networks, and other behind the scenes blog site work, but Victoria cut through the jargon and showed me which ad networks would be right for me. “I have already seen great results in the last couple of months. I would never have known on my own about the different Ad companies that I should be a part of, how to pitch sponsored posts and the importance of having lots of affiliate programs that I am a part of now! Make Money Blogging at Any Level is a must read! “I’ve read a lot of ebooks and courses this past year and really and truly the information on the ads and the names of the companies to do sponsored posts is new to me. GRAB THE BOOK EVERYONE IS TALKING ABOUT! Gives you all the information you need to start making real money. Do you feel like you must be missing something? Do you wonder how other bloggers make so much on their sites? 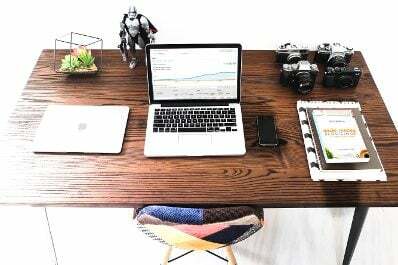 Do you want to know all the income streams you can be pursuing as a blogger? If so then this is the book for you! Shows you exactly how to optimize income sources you are already using? Do you already have ads on your site? Do you know how to make the most from those ads? Are you sure you’re getting paid the best rates for those ads? Most bloggers are not making as much as they can, far from it! At the end of this book you will know that you doing everything you can. Saves you time and energy. Running a blog is already time consuming enough, am I right? Don’t waste more time and energy by trying to find all this information on your own! This is the culmination of 2 years of study, research, and testing different methods. Cut to the chase and get the benefit of my efforts today! 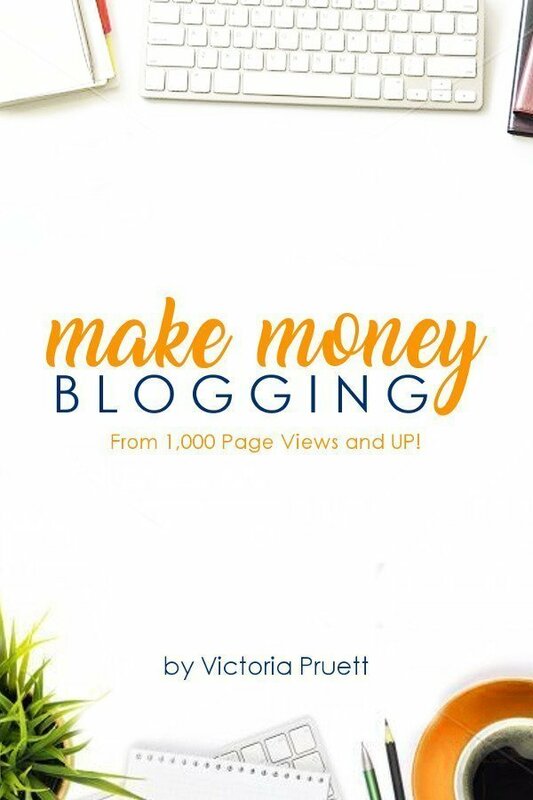 “I was absolutely THRILLED to read Victoria’s new ebook Make Money Blogging (at any level)!! This ebook is positively bursting at the seams with invaluable resources, tips, tricks, and guidance on how to turn your blogging passion into profit. I bet I could just do this on my own. Probably. But, ask yourself HAVE you? Have you really put in the time, research, and effort to make your blog a real source of income? If you have, then this book isn’t for you. ​It’s too much money. Well it’s not free, that’s for sure. But with the information in this book you will able to make that back in less than 1 month (probably less than a week!) regardless of the size of your blog! I’m not sure I’ve got the time or energy to do this right now. In all honesty, the time will never be perfect. But since you’re spending time writing posts and promoting your blog, why not add in a little bit of effort that will actually put some money in your pocket? So, are you ready to start making real money from your blog? 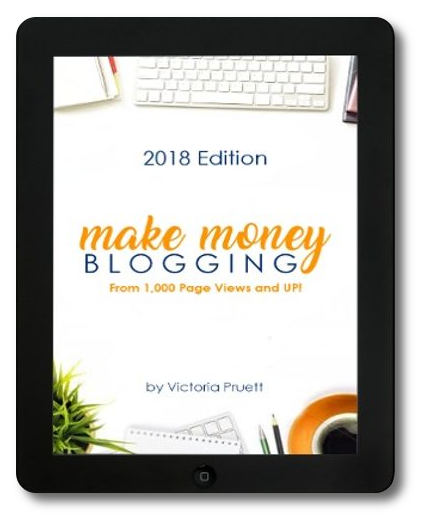 Now updated with the latest information for making money with your blog in 2019! When you grab your copy, you also get these BONUSES for free!! BONUSES: $45 VALUE for FREE! 2. Exclusive 20% off coupon for the book that shows you exactly how to dramatically increase your blog traffic! 3. Exclusive 20% off coupon for the book that shows you exactly how to create click-worthy Pinterest images! 4. Access to my blogging newsletter with all the latest updates on how I’m making so much in just 2 hours a day or less!! 5. Official access to be an affiliate for my books! Tell your friends about them and make money! But I don’t have a blog! Can you help me get started? YES!! The first chapter of this book contains all the information you need to start your blog from the beginning! I’ve also created this step by step post specifically to help you start a blog! Your book sounds too good to be true! Is there really something you can teach me for $27 that I haven’t learned from my other courses like Ruth Soukup’s Elite Blog Academy? I am with you friend. I bought blogging courses from Ruth, and Holly Homer, and and and… and while the information was fabulous (and the ladies behind the courses are awesome too!) it felt mostly like I should “just learn and practice until you reach 100k”. It was super frustrating! But you don’t have to wait for higher page views to see real money! I bring in $2000+ $4,500 a month from just 45K page views. It has allowed us to move into the country and start a life we really want. Since we are used to being frugal, $2000 $4,500 a month pays all of our bills and has allowed my husband to be home full time too. The information here is not just abstract, it shows you all the options you have right where you are to make money. It gives you the names for the ad networks you should be going after, the places you should be going to get sponsored posts that are more than just “here’s a free product” (with the actual names of the networks), and most importantly, how to make use of the audience you have! Nope, it’s an ebook, available in pdf format only. Immediately after purchase, you will get the link to download in the payment confirmation window. A link will also be emailed to you. This is an instant download to help you get started right away! Since this is a digital download, I do not offer refunds at this time. However, if you have questions about implementing the information, please email me at [email protected] Thanks! If you’ve made it this far it’s clear that you’re seriously considering this book. You know you want it, so what’s holding you back? Don’t let fear stand in your way. This book is the real deal and yes, it can really help YOU. Even if you’re new. Even if you don’t know what you’re doing. Even if you don’t have a blog yet! Stop wasting your time and energy working for free. Grab your copy today. You’ll be glad you did. Welcome to A Modern Homestead! I'm Victoria, nice to meet you! 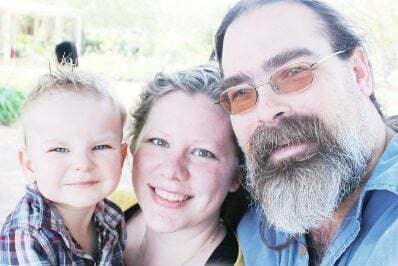 As a kindergarten teacher turned homesteader, I am dedicated to helping others get started on their own simple living journey no matter where they are in life!